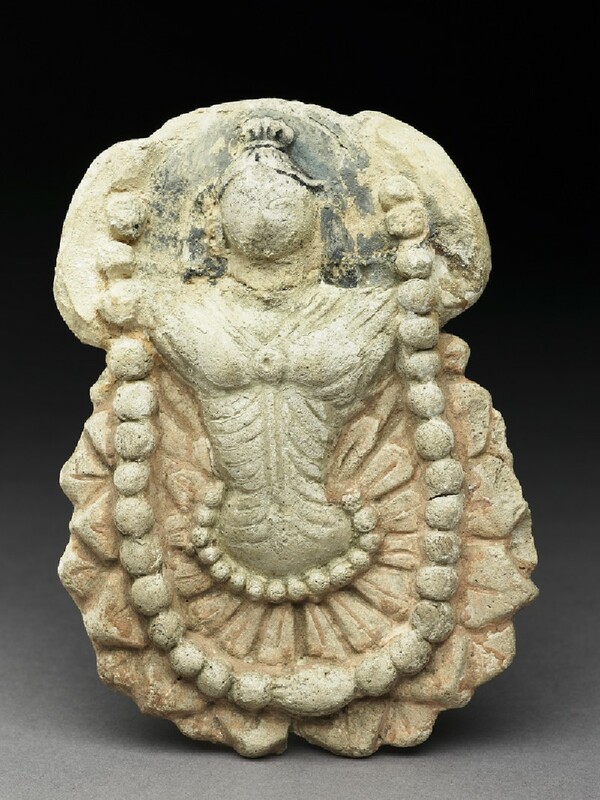 This painted relief of a Bodhisattva formed part of the decoration of a wooden doorway. The painted relief of a Bodhisattva(? ), probably moulded, formed part of the decoration of a wooden doorway. It is a composition of considerable elegance and characteristic of the achievements in alternative materials in a region where stone and certainly any tradition of working in stone, appear to have been non-existent.